$350. 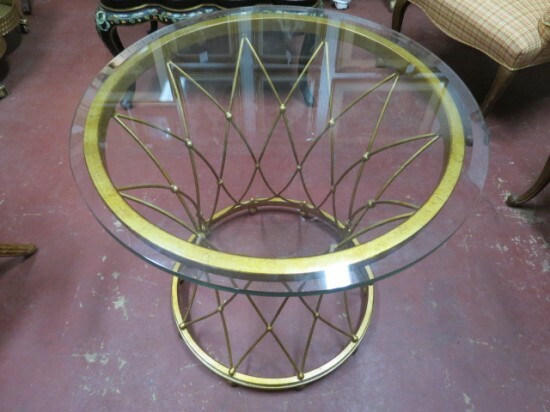 Vintage gold round wire side table. 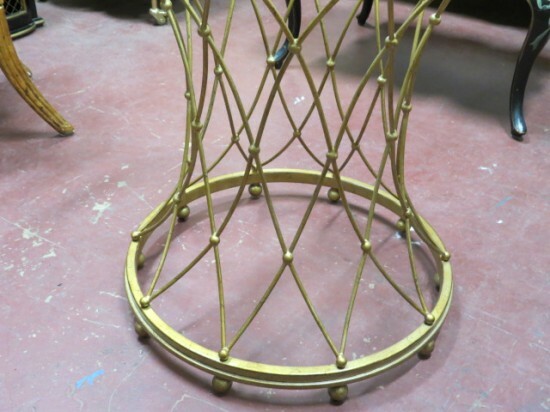 Unusual gold wire side table. Round top and bottom with .5" glass top. Ball detail in between wires and ball feet. 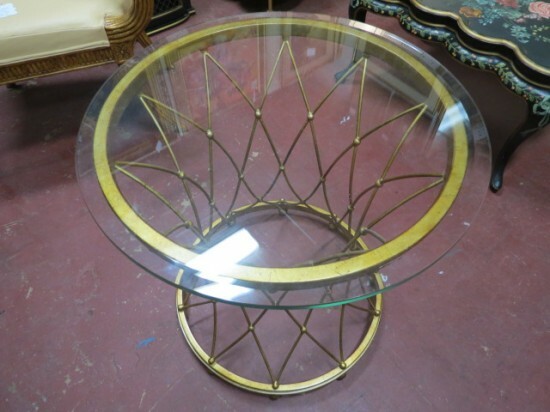 Antique gold finish. Perfect for your living room. Excellent condition. 24in round and 26in tall. $350. Vintage gold round wire side table. 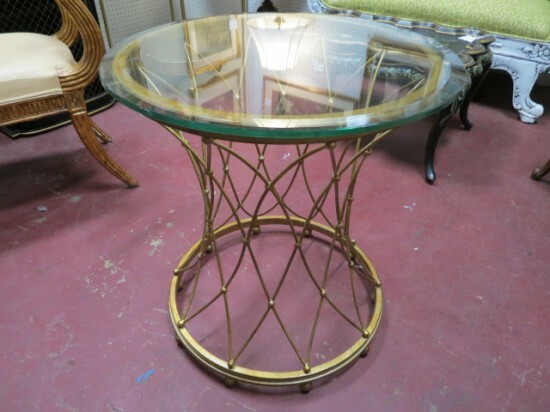 Unusual gold wire side table. 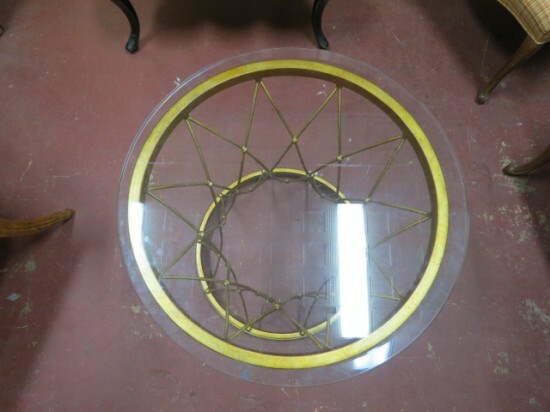 Round top and bottom with .5″ glass top. Ball detail in between wires and ball feet. Antique gold finish. Perfect for your living room. Excellent condition. 24in round and 26in tall.